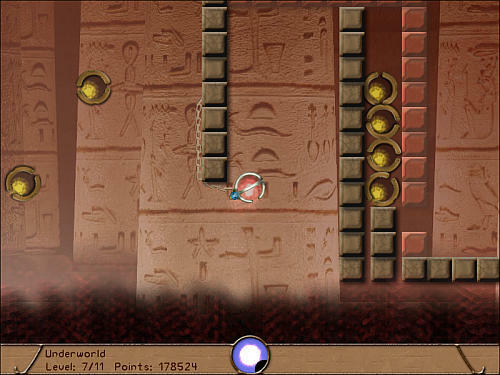 Bennu is a great free physics game by Once a Bird. 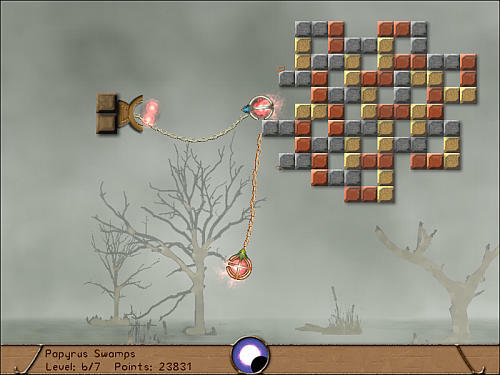 You control a ball and a chain and you swing through the levels destroying the blocks. You can play the whole game in a co-op mode. To destroy the ingots you first have to pick the right color object and then lead the ingots to the blocks or sections, and thus to destroy them. "arrow keys" to move the construct ,with "O" you can use the anchor chain on objects to help you swing.